Talahi Ranch Private Room with separate bath, refrigerator, microwave and TV. 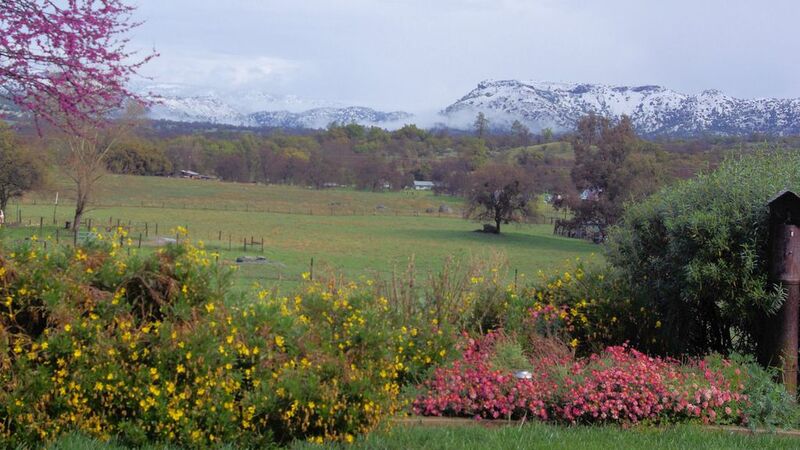 Talahi Ranch is located in the gentle rolling foothills at the base of the California's Sierra Nevada. Guests have a private entrance and laundry privileges. The room features free WiFi and a 44" flat screen TV with Direct TV cable. The small town community of Prather is just four miles away. Here you will find several restaurants, a CVS pharmacy, Mar-Val Food Store, two gas station/mini marts and more. You will be staying close to several several lakes, one in the foothills and four more in the nearby Sierra Nevada. The Sierra National Forest offers hiking, mountain biking, fishing, boating, sailing, hunting, several 4-wheel drive trails, horseback riding, back country pack trips, swimming, white water kayak adventures, spectacular photographic opportunities and bird watching. The McKinley Grove of Giant Sequoias is just over a hours drive. For winter visitors, China Peak Ski resort is just an hours drive and there are five Sno Parks where you can ride sleds, throw snowballs and have lots of family fun. Clean tub/shower enclosure, vanity and large mirror. Talahi Ranch is in the Fresno County foothills at an elevation of 1,200 feet. The property has lots of oak trees and grazing land for cattle. Several interesting titles are in the room. Spacious deck with table and chairs to relax in the evening.